The common territorial challenges that the project will tackle are as follows: increased demand for the social services in the regions, insufficient capacities of the social service providers, insufficient cooperation in the field of social services and social integration. 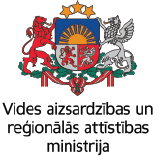 The aim of the project is to improve accessibility and efficiency of social services in Pakruojis (Lithuania), Rundale and Iecava (Latvia) municipalities for social inclusion of vulnerable groups. In order to ensure efficiency of social services 16 Latvian and Lithuanian specialists will improve their qualification by participating in 8 joint seminars. During the seminars specialists will learn how to strengthen their motivation, manage stress while working with clients, how to work with persons with mental diseases and with their family members and how to improve senior’s life quality. 7 of them will participate in a study visit to social services offices in Sweden to experience first hand the best practices implemented in the country. During the project new social service – home care service – will be created. 12 social inclusion measures will be implemented: 3 educational activities (lessons for family members of persons with mental dysfunctionalities, severe illnesses; lectures for seniors and for persons with addiction and co-addiction problems; training of craft acquisition and life skills), 8 social rehabilitation activities (respite and massage services, music, art, dance therapy, relax therapy for persons with mental disabilities, physiotherapy as well as summer rehabilitation camps. Social infrastructure of 3 social providers: Linkuva social services center, Iecava and Rundale municipalities social services departments will be improved and necessary equipment for better quality social services will be acquired. It is planned that in the project activities will participate 600 socially vulnerable people and they will be benefiting from more accessible, efficient social inclusion measures and new social services. Latest Facebook activity - Project "SocialLife"